As time goes, our lifestyle changes. From the food we eat and the things that we do in a daily basis, things are never the same since day one. If there's one thing that I'm glad about this progress, it's the people's growing awareness and concern about their health and wellness. A lot of people have been engaged into working out indoors and outdoors, recreational and fitness activities and healthy diet. I have heard my friends talking about Keto and intermittent diet, enrolling into fitness programs, joining fun runs, taking supplements and more. It has become pretty ubiquitous that every people who'd see them doing it would also like to shift into that kind of lifestyle. Young and old alike enjoy this very well and are enticed with its outcome and long term benefits. Few years ago, I have started materializing my plan to shift into a healthy lifestyle. I started working out and eating food that would give my body the energy that it needs in all of the activities that I am engaged into. I have tried running, dancing, hiking, doing cross-fit and yoga and combined it with a good eating habit. I am basically living quite an active life. Though consistency is quite challenging in this matter, the idea of what it will all turn out after getting drenched in sweat and a tire some workout is indeed rewarding. Thus, it kept me forward. However, the more that I engage myself into strenuous activities and work out, the more that my body grew tired and crave for some relaxation. Exhausted, I searched for ways to get pampered. That's when I met The Life Extension. 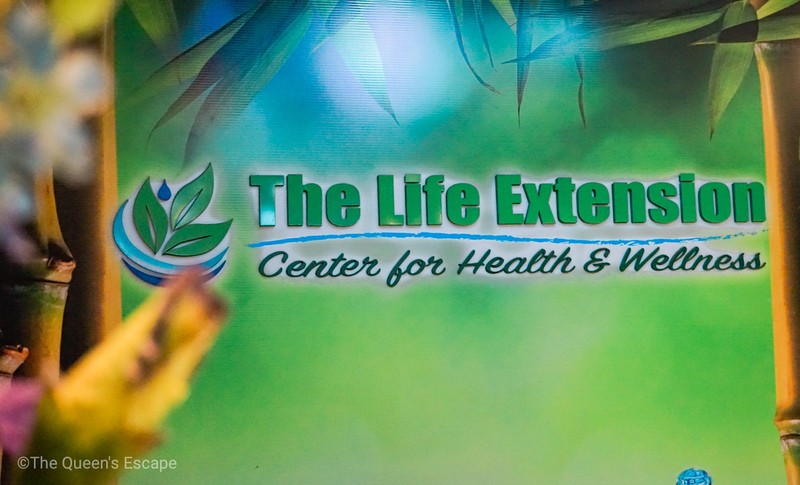 The Life Extension is a health and wellness center seated at a busy street of Diliman. The services through state of the art apparatus that they offer have proven medical benefits that can be best enjoyed by both young active people or the old ones. 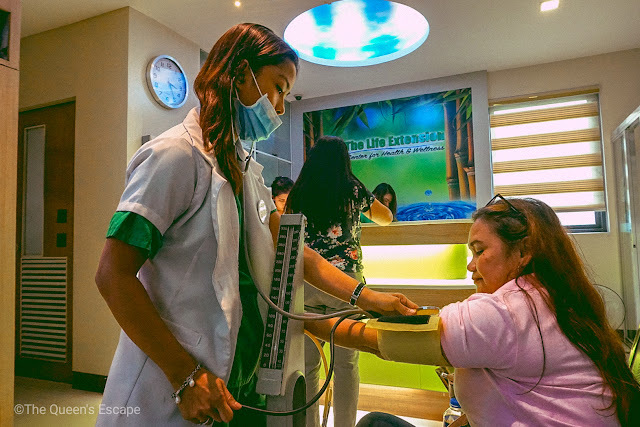 For several years, it has provided its customers wholesome wellness program and services fusing the traditional approach and the modern technology. It is open from 8:00 AM to 6:00 PM from Mondays to Saturdays. It is located at the 3rd level of Bell Kenz Tower, Malakas Ln, Diliman, Quezon City, Metro Manila. I brought my mom with me on my visit in the Life Extension. Upon our arrival, we were told to rest for a bit and we were handed with a glass of water. Afterwards, our blood pressures were taken. As we were resting, we were asked as that services would we like to try. We had Charcoal bath with steam, Lymphatic Drainage Massage and Diathermy. The first thing that we has was the charcoal bath with steam. We went into their steam glass box for 15 minutes as if we were in a Sauna. Then, we transferred into the tub where we enjoyed the 15-minute charcoal bath. After the relaxing steam and charcoal bath, we were lead into the massage room where we were given the lymphatic drainage massage and diathermy. The former is like light-weight full body massage focusing and gently stroking the lymph and muscles. The last that we availed, Diathermy, provided us with a soothing hot sensation at the back or at the area that the guest usually complains about as painful. We were left by the therapists for five minutes to relax. Afterwards, we dressed up and headed home. On the first few minutes, we haven't got a feel of it. But as we walked our way out of the building, we felt extremely light, calm and relaxed. It was as if I was seriously floating. My skin was pinkish, soft and glowing. My body felt light so as my mood and my whole being. 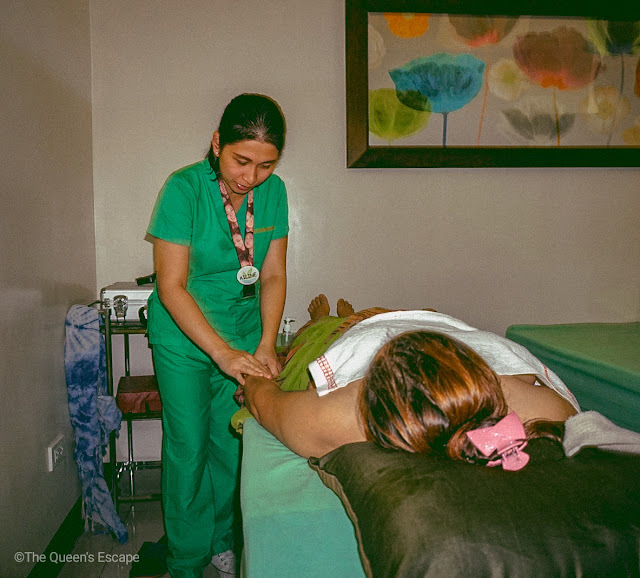 There is a whole lot difference in my TLE experience compared to a visit in an ordinary massage center or spa. Every time I visit the latter, I feel like my body feels heavy the next day and the pressure points sore despite the initial relief. The Life Extension Health and Wellness Center has its in-house consultants from whom you could ask as to what therapy or service could you best avail. 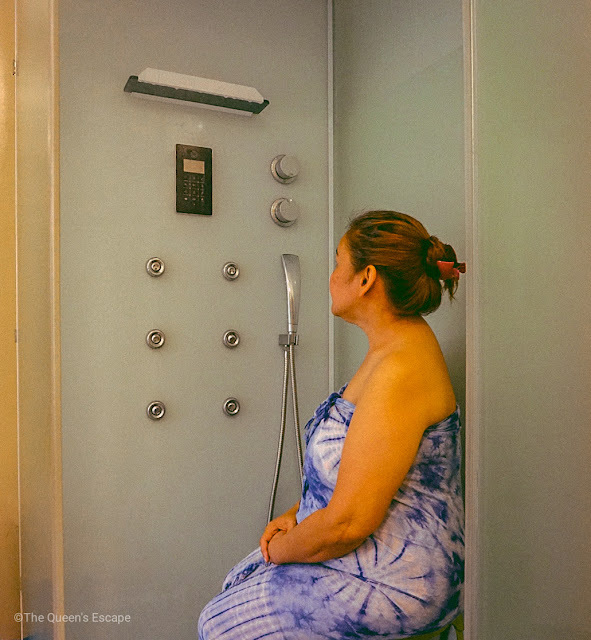 What makes it different from any wellness center and spa I've been to is that, they have state of the art modern technological equipment apart from the traditional massage and therapy. Bio Clarity is a sauna-like type of therapy where you will be sitting in a closed wooden facility with your head out for thirty minutes. It lets you sweat out your stress, pain and toxins. It was said that it is equivalent to three hours of workout; thus, a good alternative for weight loss. Lymphatic Drainage Massage focuses on and stimulates the lymph vessels, nodes and organs. It is beneficial to the immune system as it gets boosted in this 90-minute massage. Activated Charcoal Bath is good for those who take medicines for maintenance, smokers and drinkers as it is quite a process to detox. Also, it leaves the skin soft, rejuvenated and supple. Thermal Magnetic Acupressure relieves aching muscles and joints and improves circulation. It doesn't involve any needles as it is nothing like the traditional acupuncture. Instead, it uses magnetic pins and suction caps for 15 minutes. Diathermy brings electromagnetic coils to bring energy to the tissues and soothe tired and worn muscles. The machine sends electromagnetic energy to the muscles bringing it a gradual relief and relaxation. 1. Make your way to MRT Araneta-Cubao Station. From there, take a bus bound for Fairview. 2. Get off at Philippine Heart Center. 3. You may either take a cab, tricycle or walk for 10-12 minutes to Bell Kenz Tower where The Life Extension is located. 4. Take the lift or elevator to the third floor. In getting away, you need to walk back to the highway or just take a cab outside the building or near McDonalds. From the highway, you can take the jeep back to Cubao or choose to get off at GMA Kamuning MRT station and take the MRT to where do you need to go. Make sure that you will contact them prior to your visit. Might as well reserve a slot to avoid inconvenience and so they may be able to best cater you on your visit.